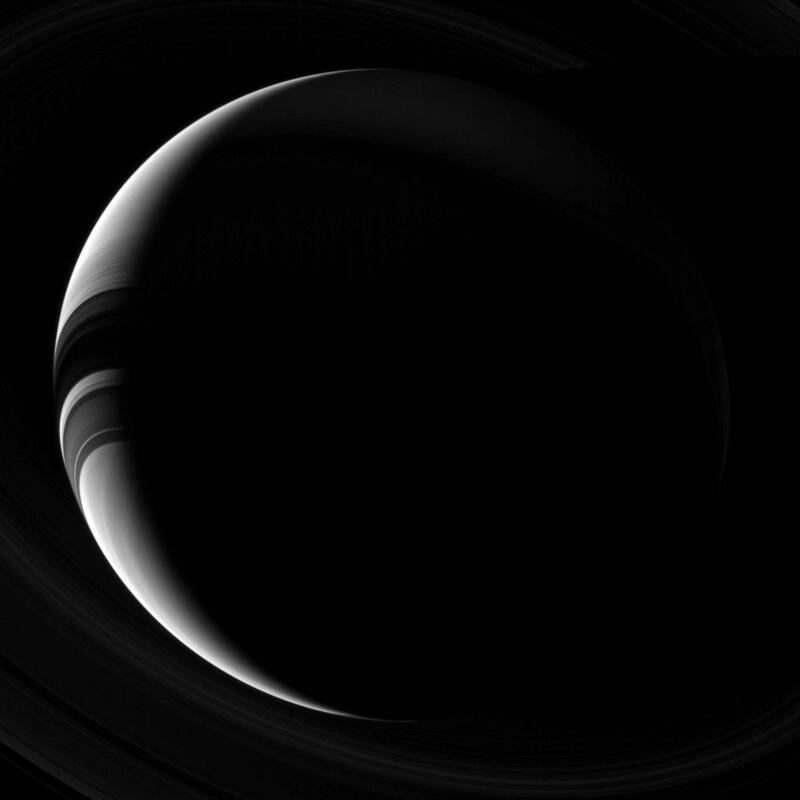 Saturn, which appears as only a thin, lit crescent, broken only by the shadows of its rings, poses gracefully for the Cassini spacecraft cameras. This view looks toward the unilluminated side of the rings from about 42 degrees below the ringplane. 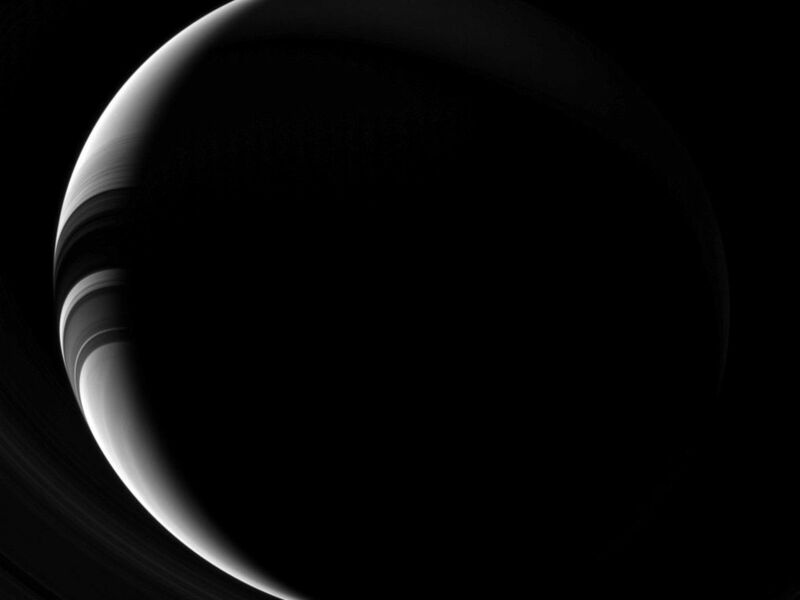 The image was taken with the Cassini spacecraft wide-angle camera on Sept. 20, 2013 using a spectral filter which only admits wavelengths of near-infrared light centered at 752 nanometers. 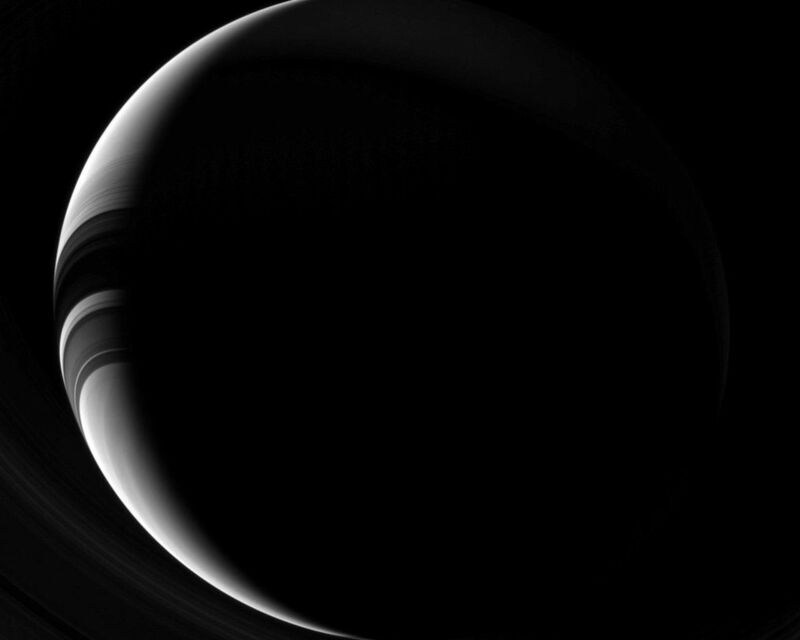 The view was obtained at a distance of approximately 1.4 million miles (2.3 million kilometers) from Saturn and at a Sun-Saturn-spacecraft, or phase, angle of 142 degrees. 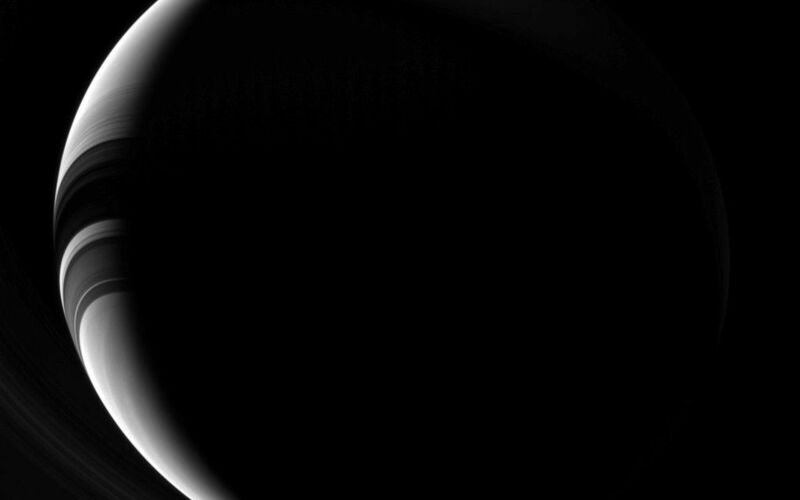 Image scale is 84.5 miles (136 kilometers) per pixel.